Ann Arbor’s EntryPoint, an organization that works to advance the entrepreneurial community by promoting inclusion, community engagement, and education, has released new data that shows 56 percent of venture capital invested in Detroit was in information technology startups in the last year. The report also says there has been a 54-percent increase in the number of Detroit-based, venture-backed startups in the last four years. In 2017, 18 startups in the area received more than $41 million from venture capital firms. Of these, 56 percent are in the information technology sector, 17 percent are in the life science and health care sectors, and the remaining investments were in the mobility, business services, and consumer products sectors. 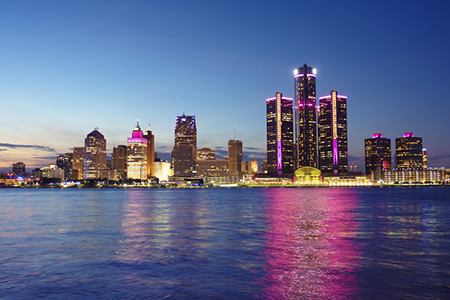 More than 25 percent of venture-backed startups in Michigan are now located in Detroit. While the black population makes up nearly 80 percent of Detroit’s total population, only three of the 37 venture-backed startups in Wayne County are led by someone who is a racial minority. None are led by women, and none are led by members of the LGBT community. The 37 venture-backed startups in Wayne County have raised an aggregate $179 million. Michigan has the highest density of engineers in the U.S. – 1,400 per 100,000 residents, with the concentration of engineers employed in Wayne County. The report includes insights from entrepreneurs across Michigan and information from the U.S. Census Bureau, the 2012-2016 American Community Survey Five-Year Estimates, the 2018 MVCA Research Report, the Bureau of Labor Statistics, Numbeo, Entrepreneur Magazine, and U.S. News and World Report. EntryPoint was founded in 2018. The full report is available here.